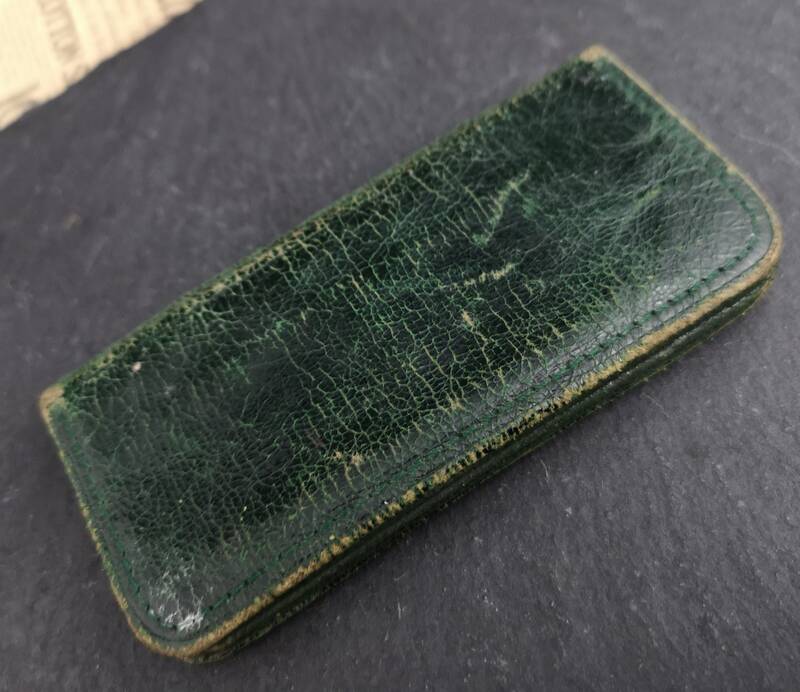 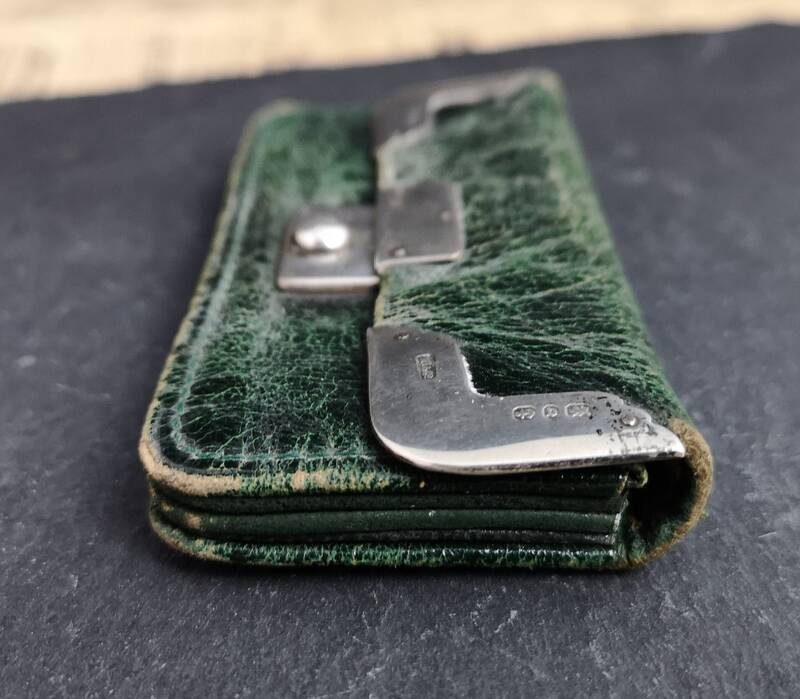 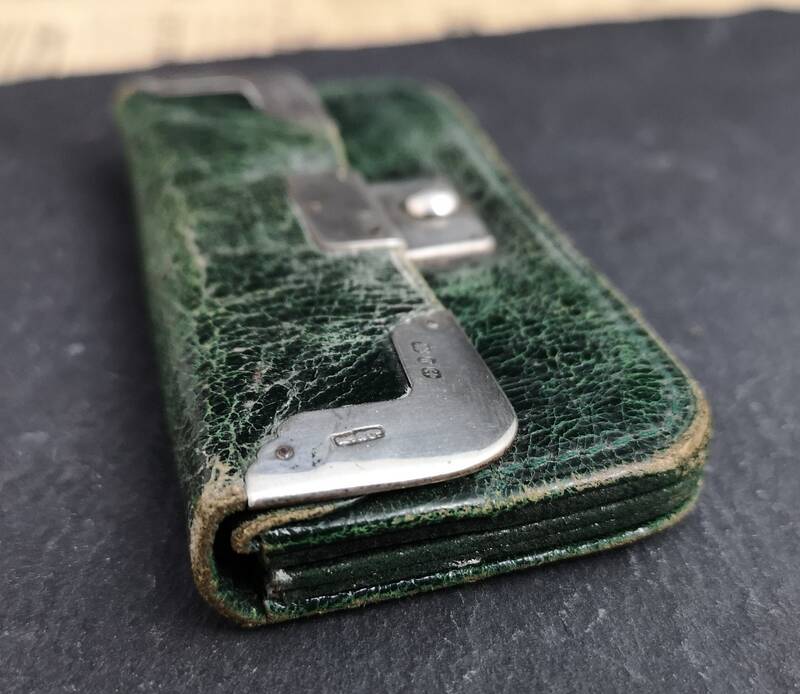 A charming Victorian green Moroccan leather sterling silver mounted purse. 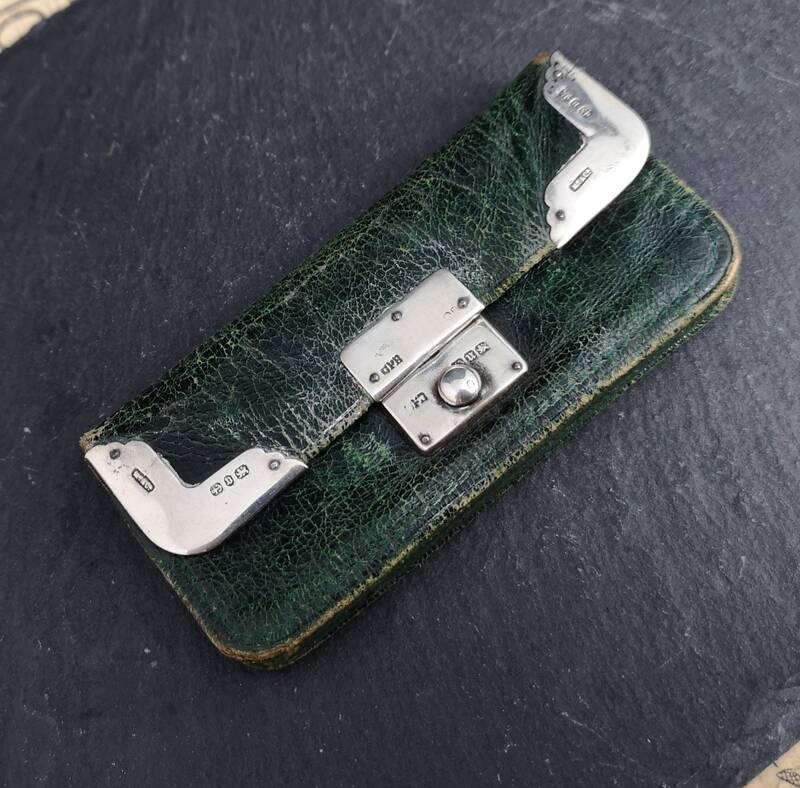 It has a slide lock clasp which holds it firmly shut until the clasp is pushed. 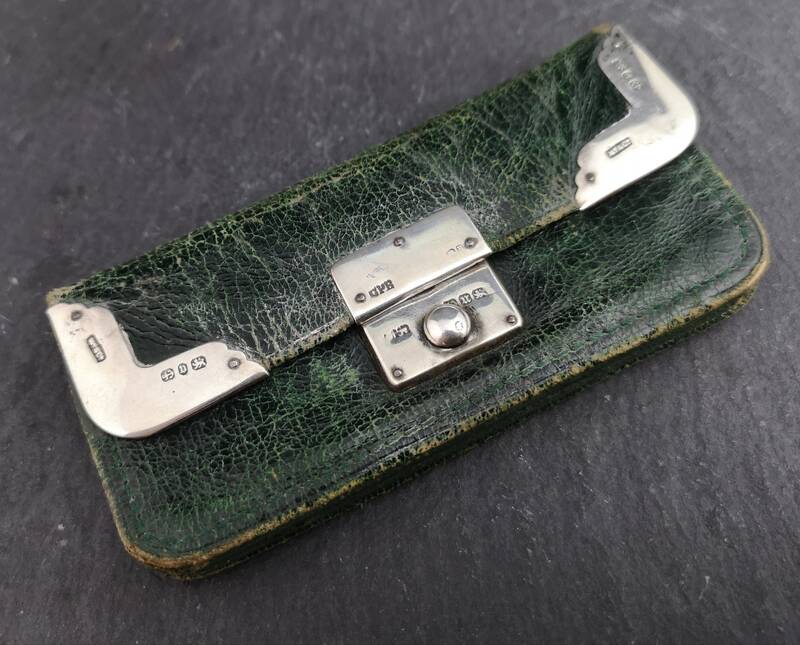 The corners are mounted with sterling silver and the clasp and lock are also hallmarked. 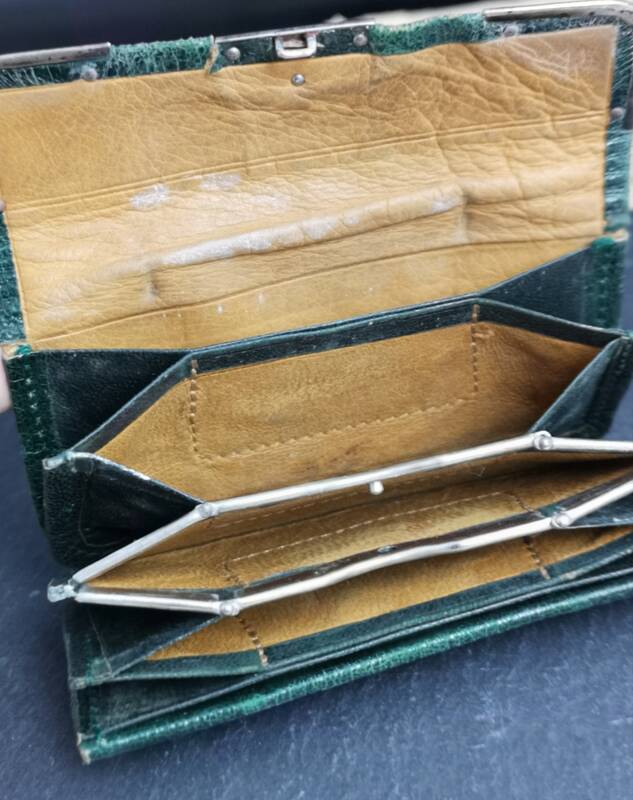 It has multiple compartments inside. 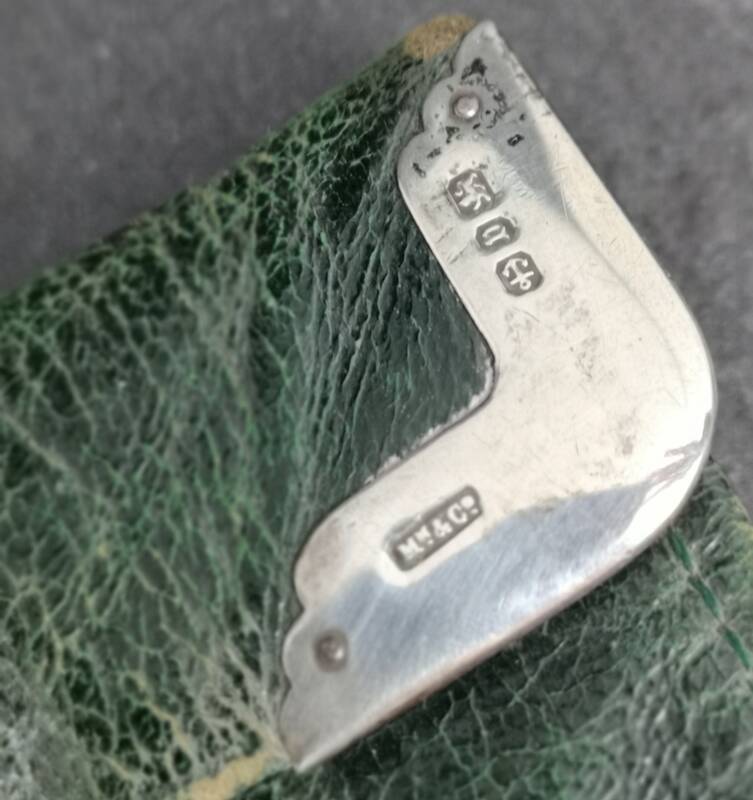 Two different year marks, one for 1894 and the other 1876 so the corners were likely remounted in 1894, both Birmingham, one Charles Penny Brown, other maker rubbed. 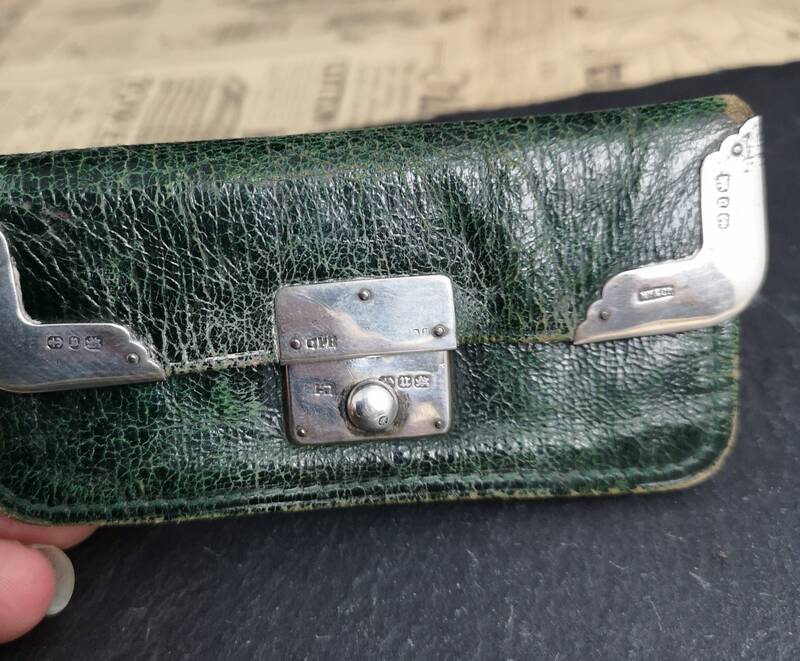 Good condition overall, some patina and wear to the hallmarks, some aged wear to the leather.